Network Members — Click here to help us spread the word! 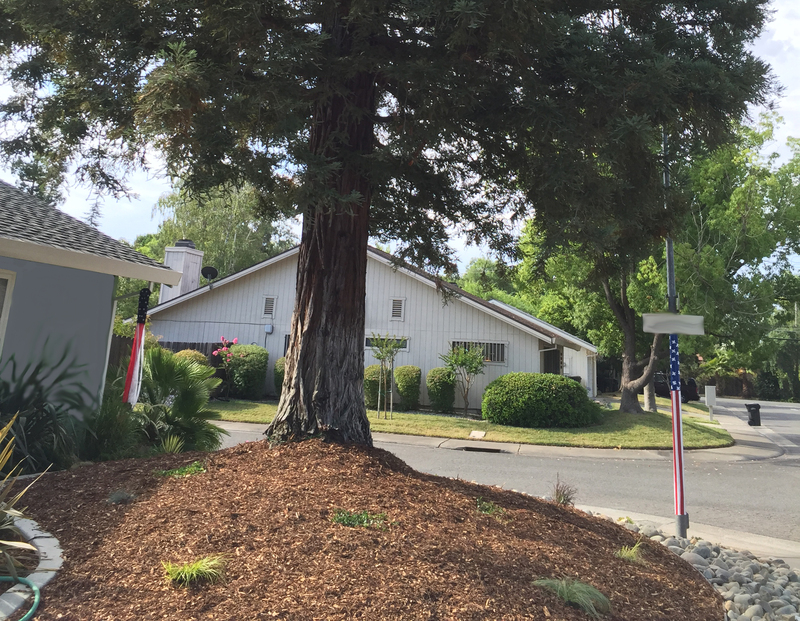 As you cut back on water use during this historic drought, you may not realize the impact this will have on your landscape trees. Trees in irrigated landscapes become dependent on regular watering. 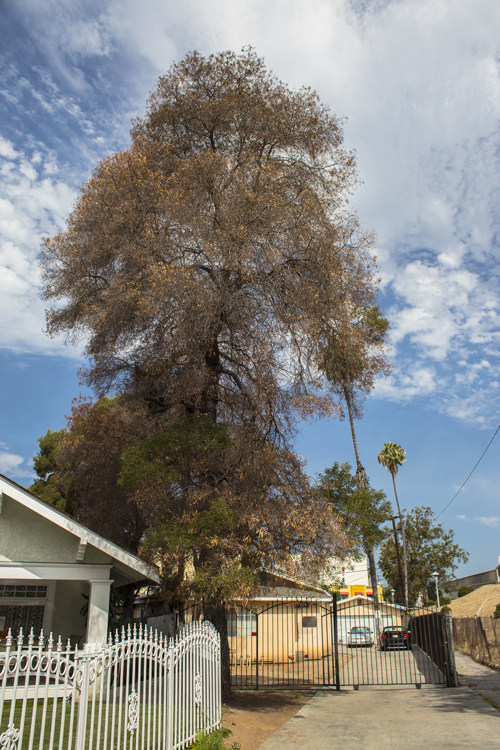 When watering is reduced – and especially when it’s stopped completely – trees will die. Trees take a long time to grow. Without helping our trees through the drought, we risk losing these benefits. While the drought may not last long, it can harm or kill trees, and it will take 10, 20, or even 50+ years to grow trees and get back the benefits. SaveOurWater.com/trees | Ahorre Nuestra Agua Y Salve árboles! 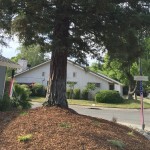 Deeply and slowly water mature trees 1 – 2 times per month with a simple soaker hose or drip system toward the edge of the tree canopy – NOT at the base of the tree. Use a Hose Faucet Timer (found at hardware stores) to prevent overwatering. Young trees need 5 gallons of water 2 – 4 times per week. Create a small watering basin with a berm of dirt. Shower with a bucket and use that water for your trees as long as it is free of non-biodegradable soaps or shampoos. 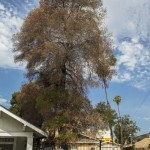 Do not over-prune trees during drought. 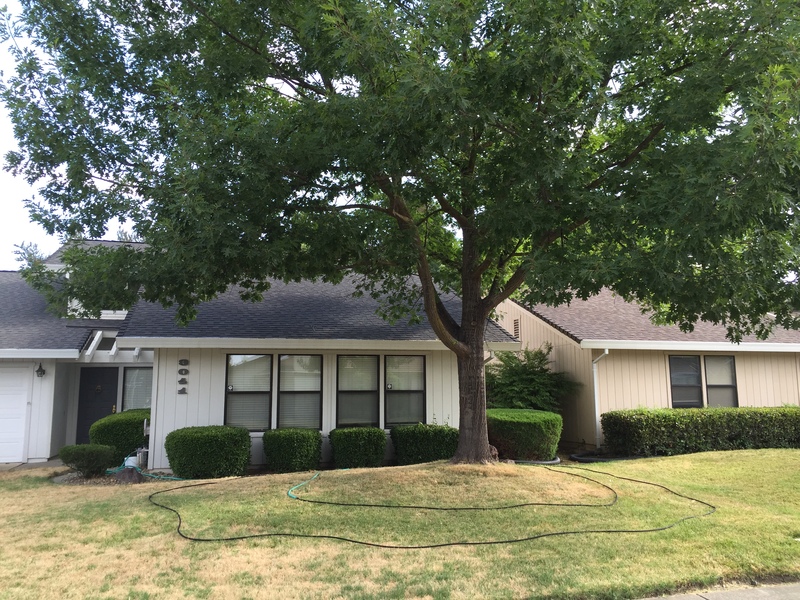 Too much pruning and drought both stress your trees. Mulch, Mulch, MULCH! 4 – 6 inches of mulch helps retain moisture, reducing water needs and protecting your trees. 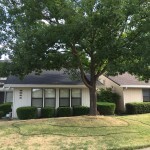 Place a soaker hose in a spiral pattern toward the edge of the tree canopy (the “drip line”). Check the soil by plunging a long screwdriver or similar tool into the soil. Watering basin for young tree. If you prefer, instead of soaker hoses or drip lines, you can put out several 5 gallon buckets with 5 holes drilled into the bottom of the buckets. Set the buckets under the tree toward the edge of the canopy area and use a hose to fill with water. This water will then seep slowly into the ground. The number of buckets will depend on your soil type as well as the size and species of tree. Trees in sandy soils need to be watered more frequently than trees in clay soils. Convert your spray irrigation system to a drip system so you do not have to depend on the manual hose timer. If you want help with converting your system, consult the manufacturer’s manuals and website for your irrigation system or talk to an irrigation specialist. Remove the lawn or sheet mulch underneath your tree. Trees actually prefer wood chip mulch and the “duff” created by their own leaves. Learn how here. This information is brought to you with the support of the following organizations: SaveOurWater.com, California Department of Forestry & Fire Protection — Urban Forestry Division, California Department of Water Resources, California Urban Forests Council , Canopy , Davey Tree Expert Company , Friends of the Urban Forest, Governor’s Office of Planning & Research, Inland Empire Urban Forest Council , Local Government Commission , Oracle Oak Nursery, Sacramento Tree Foundation , TreePeople, University of California Cooperative Extension , Urban & Community Forestry, USDA Forest Service, Urban Tree Foundation , Western Chapter International Society of Arboriculture (WCISA) and West Coast Arborists.